Back pain can be sudden and unexpected, thus interfering with your daily life in a way that can be both frustrating and upsetting. Pain may be caused by certain medical conditions that cannot be avoided, but a large number of them are acquired acute back pain from activity strain. In these cases, simple preventative measures might have been taken in order to avoid problems; prevention is better than dealing with the consequences of strain. 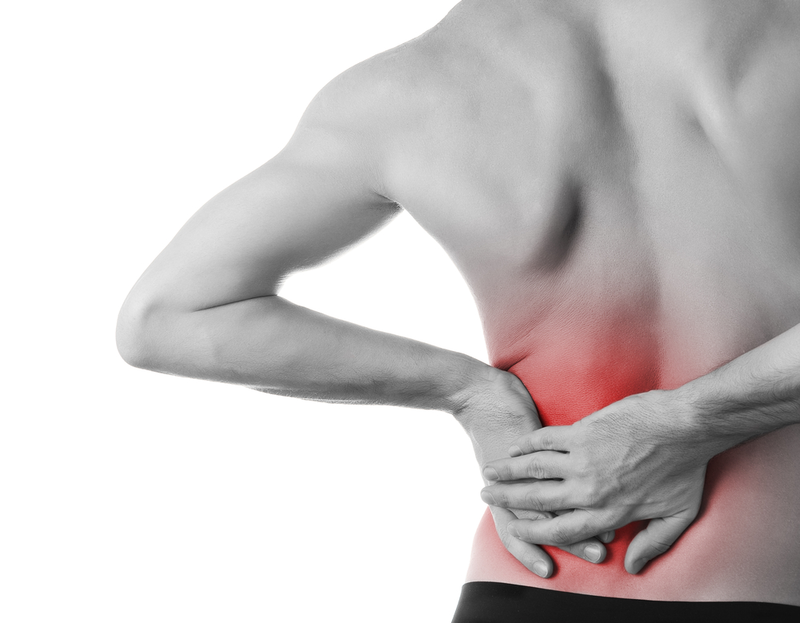 Below are some of the best ways to avoid some of back pain’s most common causes. When taking part in physical activity you need to know your own physical limits. If you’re just starting a new activity then you can’t jump right to the top tier of physical exertion; rather, you must work your way up gradually and let your body develop the strength and flexibility required. You need proper training over time in order to ensure that your back is prepared. It is especially important to develop the core muscles when exercising because they are quite important in back support. They help back muscles keep the spine aligned and keep the body upright. You should also exercise your back muscles with a gym routine that fits your fitness level. When in doubt, consult a personal trainer, fitness professional, or doctor about starting a new exercise regime. Sitting for extended periods of time is bad for your back because it stops the spine from being properly elongated. For that reason you should take a break every 30 - 45 minutes to stand up and stretch your back out. You only need a minute or so to change your position, but you won’t be able to play catch up for sitting too long. If this isn’t possible then you should use bathroom breaks as an opportunity to stand up, walk around, and do a bit of casual stretching. You can also stand up and walk around during phone calls as a way of getting a break from the restrictions of your seating. Moreover, avoid staying at your desk during lunch; it’s better to walk somewhere different to eat. This will make your day more interesting and prompt you to give your back a break. Note that if you work at a computer then you may be more at risk for back pain than others. Back problems are associated with Computer Vision Syndrome (CVS), a blanket term for symptoms associated with computer use. Don’t hunch your back when looking at a screen or sitting at a computer desk. Be sure to seat yourself upright, with the monitor a safe distance away and a bit below eye level. One of the biggest mistakes when lifting heavy loads is to lift with the back instead of the legs. This can drastically increase the risk of injury. Instead, you should aim to lift with your legs by bending down at the knees and keeping your back straight. Never twist or rotate your back during the lifting process as this will put pressure in places in your back and on your spine that may get damaged. You should also keep objects close to your body as this requires less effort to lift. Additionally, limit the amount you carry to one fifth of your own body weight. If there is anything heavier then ask for someone to help you. It is also a good idea to hire professional movers for heavy lifting as they will have been trained in safe lifting techniques. In short, knowing your body’s physical limitations, correcting your posture, and practicing safe lifting are all ways to prevent serious back injury. In the case that you do get injured, contact Downsview Chiropractic and one of our professionals will be happy to help you get past the injury.